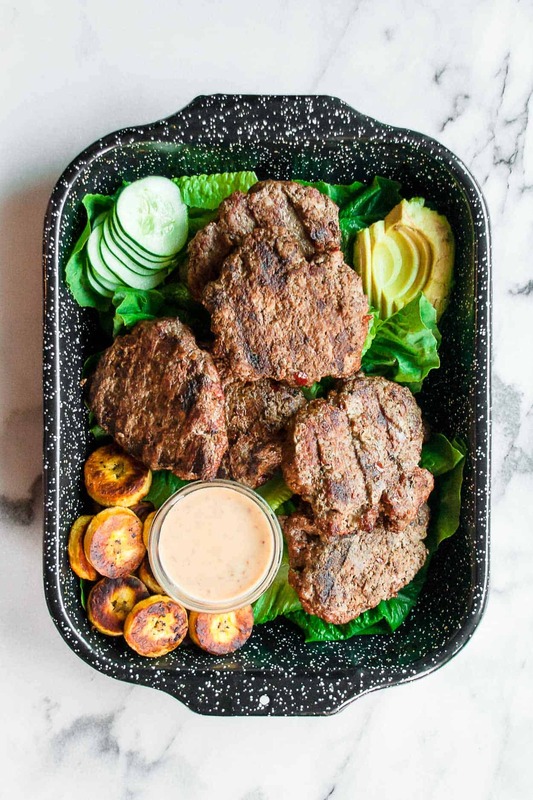 Whole30 Chipotle Burgers are the simplest dish to serve your hungry family and party guests this summer! Made in only 20 minutes, the only thing missing is sweet potato fries! Hello hello. What do we have here? Entertaining in the summer is one of my absolute favorite things. It’s that time of year when you can hang out on the deck with a drink in hand, cook the entire meal on the grill, eat outdoors so the kitchen doesn’t get messy, and bask in daylight until 9 pm. Good food makes it better. Take these Whole30 chipotle burgers for example… a simple mix of ground beef, an egg, a few chipotle peppers with adobo sauce, salt and pepper. So easy and full of flavor! And to top it off, Whole30 chipotle mayo, sliced avocado and a few fried plantains – my stomach is already growling! Of course, good food makes any dinner party better. But often, hosting people gives me anxiety – making sure everyone is having a good time, never letting my guests’ drinks to be empty, and the obvious… making sure all the food is done at the same time! Seriously, why is timing food so hard?? That is why I have put together the ULTIMATE Summer Dinner Party Planner for you! It is complete with recipes for an appetizer, main dish, side, drink and of course dessert. In addition to the recipes, you will get a shopping list with everything that you need! So there is no planning on your end – all you have to do is invite your guests over for dinner. You can get the guide today – just download it HERE! 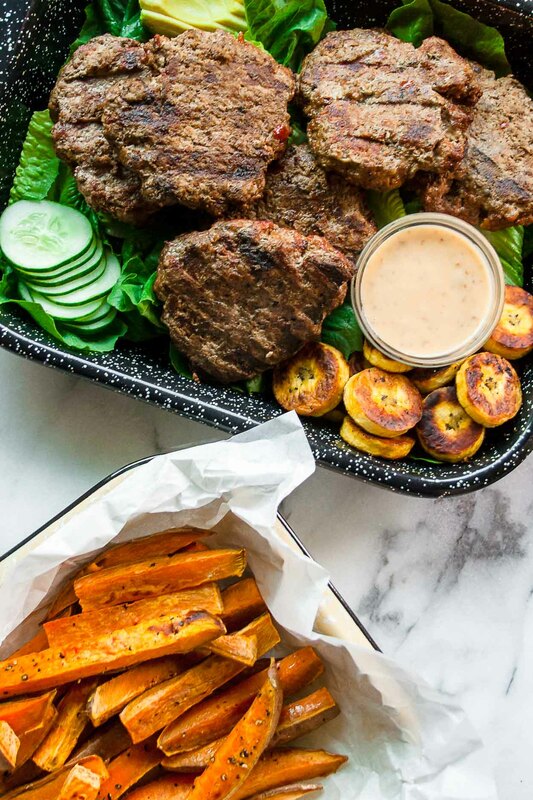 Make these Whole30 Chipotle Burgers and post a picture on social media and use the hashtag #imhungrybynature for a chance to be featured! In a large bowl combine the ground beef, egg, chipotle peppers, adobo sauce, salt and pepper. Using your hands, mix well until combined. Form mixture into 6 even burger patties and set aside until you are ready to grill. Grill the burgers over medium to medium-high heat until they reach your desired doneness, about 5 minutes per side for medium. 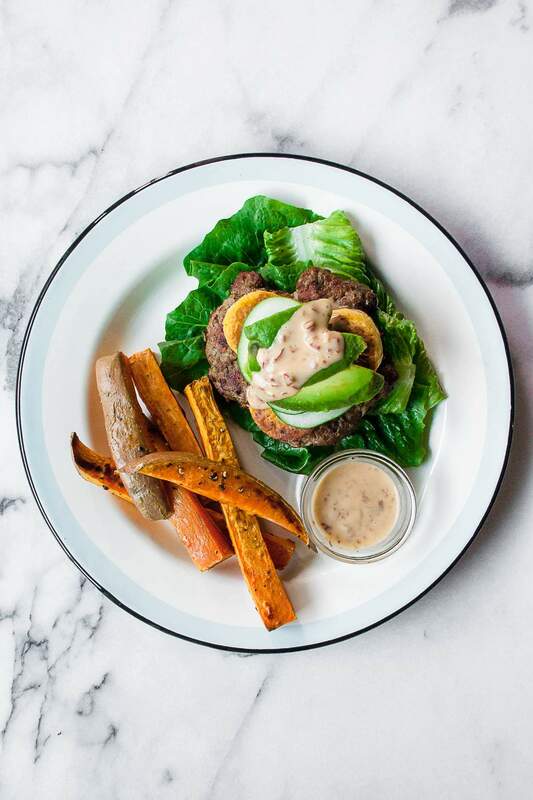 While the burgers are cooking, make your chipotle mayo – mix Whole30 compliant mayo with the minced pepper until well combined. Remove burgers from the grill and allow them to rest for 5 minutes. 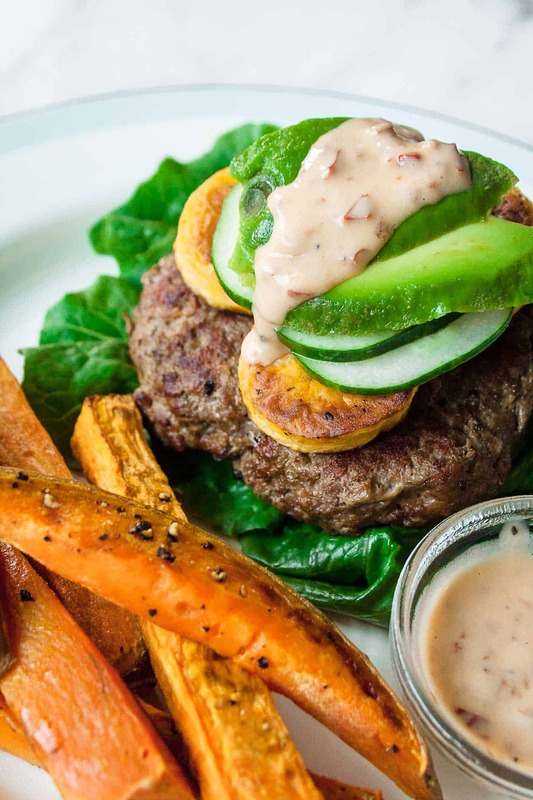 Serve in a lettuce wrap with the chipotle mayo and your favorite burger toppings – sliced avocado, fried plantain, and cucumber slices! 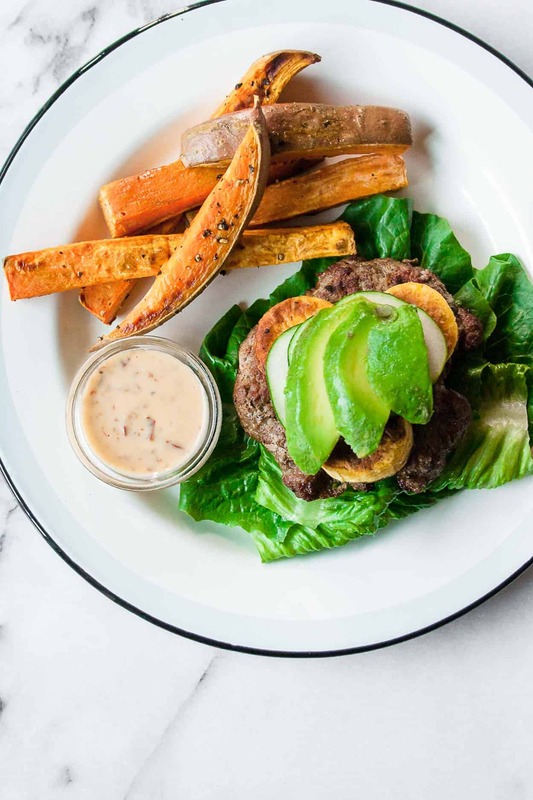 Pin this for your next Whole30! So amazing….. I kind of wish I had one of these right now. These look so soft and perfect too!Perfect for weekend brunch! YUM! Thanks Harsha – I hope you love these!